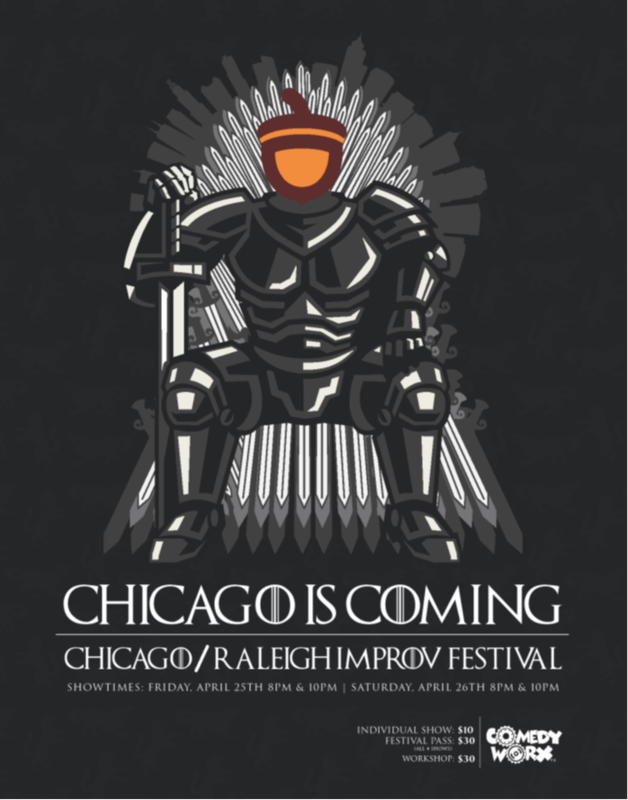 From April 25 through 27th ComedyWorx is thrilled to host the 2019 Chicago/Raleigh Improv Festival! Started in 2006, the CRIF is a charming celebration of the best improv to be had in the two greatest cities in the world. Consisting of an outstanding line-up of longform improvisational comedy teams, the CRIF is a true highlight of the year not to be missed! Click Here to Purchase a Festival Pass! Click Here to find out about the CRIF Shows and the Workshop!